Road authorities, freight, and logistic industries face a multitude of challenges in a world changing at an ever growing pace. While globalization, changes in technology, demography, and traffic, for instance, have received much attention over the bygone decades, climate change has not been treated with equal care until recently. However, since it has been recognized that climate change jeopardizes many business areas in transport, freight, and logistics, research programs investigating future threats have been initiated. One of these programs is the Conference of European Directors of Roads’ (CEDR) Transnational Research Programme (TRP), which emerged about a decade ago from a cooperation between European National Road Authorities and the EU. 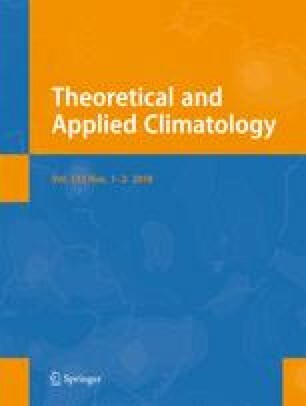 This paper presents findings of a CEDR project called CliPDaR, which has been designed to answer questions from road authorities concerning climate-driven future threats to transport infrastructure. Pertaining results are based on two potential future socio-economic pathways of mankind (one strongly economically oriented “A2” and one more balanced scenario “A1B”), which are used to drive global climate models (GCMs) producing global and continental scale climate change projections. In order to achieve climate change projections, which are valid on regional scales, GCM projections are downscaled by regional climate models. Results shown here originate from research questions raised by European Road Authorities. They refer to future occurrence frequencies of severely cold winter seasons in Fennoscandia, to particularly hot summer seasons in the Iberian Peninsula and to changes in extreme weather phenomena triggering landslides and rutting in Central Europe. Future occurrence frequencies of extreme winter and summer conditions are investigated by empirical orthogonal function analyses of GCM projections driven with by A2 and A1B pathways. The analysis of future weather phenomena triggering landslides and rutting events requires downscaled climate change projections. Hence, corresponding results are based on an ensemble of RCM projections, which was available for the A1B scenario. All analyzed risks to transport infrastructure are found to increase over the decades ahead with accelerating pace towards the end of this century. Mean Fennoscandian winter temperatures by the end of this century may match conditions of rather warm winter season experienced in the past and particularly warm future winter temperatures have not been observed so far. This applies in an even more pronounced manner to summer seasons in the Iberian Peninsula. Occurrence frequencies of extreme climate phenomena triggering landslides and rutting events in Central Europe are also projected to rise. Results show spatially differentiated patterns and indicate accelerated rates of increases. The research described here was carried out within the CEDR Transnational Road research Programme Call 2012. Funding was provided by the national road administrations of the Netherlands, Denmark, Germany, and Norway. The authors thank the KLIWAS group of DWD, especially Florian Imbery, Sabrina Plagemann, and Ulf Riediger for preparing the KLIWAS17 ensemble and for helpful discussions. We further express our gratitude to Beate Gardeike (HZG) and Candace Fuhringer for valuable assistance in preparing this manuscript.